ST. LOUIS, Mo. 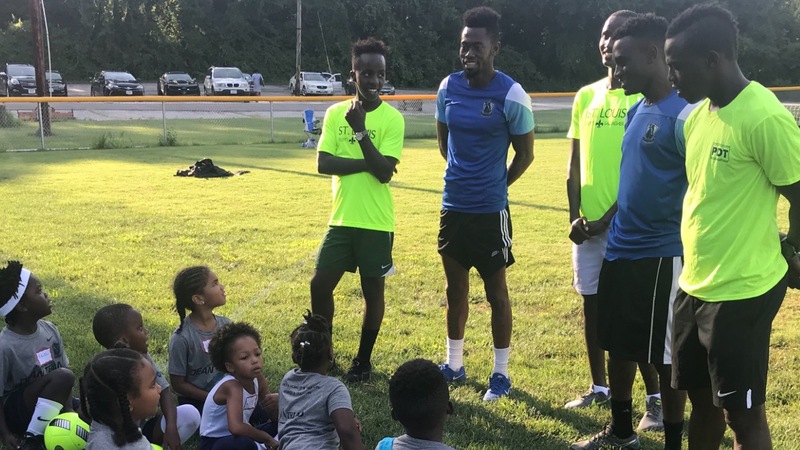 – St. Louis Scott Gallagher (SLSG) announced a partnership with Mathews Dickey Boys & Girls Club (MDBGC) to provide soccer programming for their members. The program will include professional training, soccer gear and equipment, and platforms for competition. “Mathews-Dickey is pleased to partner with the SLSG as they are true experts in developing competitive soccer players. Our goal at Mathews-Dickey is to produce scholar athletes by introducing and exposing youth to a variety of sports and experiential learning opportunities in academics. Our vision is that each of our members goes to college and/ or becomes a productive citizen,” said MDBGC President & CEO Wendell Covington, Jr. This innovative partnership is being funded through the generosity of private donors in cooperation with SLSG and Mathews Dickey Boys & Girls Club. If you are interested in helping financially, donations can be made to: www.mathews-dickey.com/give/ OR mail payment to Mathews-Dickey Boys’ & Girls’ Club 4245 N. Kingshighway Blvd. St. Louis, MO 63115.